This was a really interesting project for me. Like many of the children I had not been to Gawthorpe Hall before, so taking part in the tour with one of the schools groups was fantastic and really informed my decisions about what kind of work I would do with the children afterwards. Being able to see their reactions to the objects in the Hall meant that I could choose things to work with that I knew they would respond to. Taking part in the tour myself created a shared memory with all the groups. During the tour we did two activities. 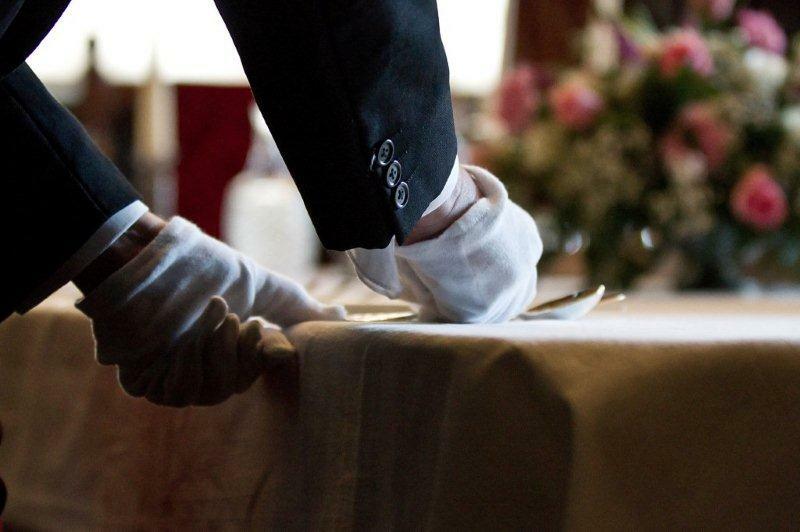 First we went to the kitchen where we were treated like new staff and told to polish the silver. The children really liked this and learned about the life of a servant. Next we went upstairs to set the table with the silver, learning about where things go and why. The actors in costume engaged children straight away. The Butler was very good and it was hard not to go along with it. After that we had an upstairs tour of the Hall by the housekeeper. We looked in the entrance and the withdrawing room and learned about Charlotte Bronte. The children were interested in all the different and special things. The Teapoy, a box on a stand where they kept tea locked as it was so expensive, stood out as interesting. We saw the ceiling and chandeliers, secret doors, commode, cupboard and learnt about the special sideways chimney. In the Long Gallery we looked at the portraits and were told about the different uses of the long gallery, including for exercise and cricket. The children liked the wallpaper. They were very hands on with the sample and enjoyed being able to feel the gold and velour textures. 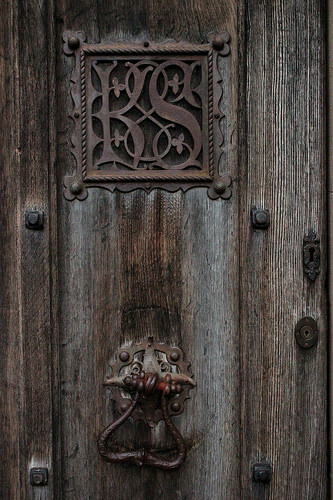 They had noticed the monogram KS everywhere. When I arrived at the schools I first talked to the pupils about their tour and what they remembered. They remembered a lot actually, sometimes with a little prompt. 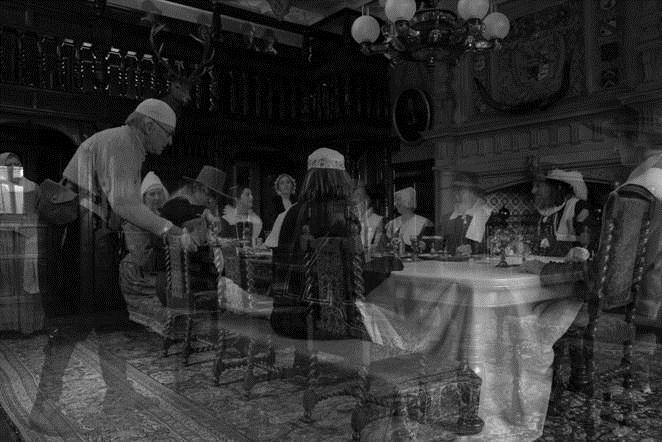 But the fact that there were people in costume and that they had been actively engaged (polishing the cutlery and laying the table) not only captured their imaginations, it had also made it easier for them to relate to the people who would have lived there in the past. Having been there and seen all the objects and heard about them whilst looking at them meant that they recalled most of the information they had been given. The works we created were in response to the wonderful wallpaper that many of the children had been impressed by and had enjoyed feeling, and the Teapoy in the withdrawing room. We made Teapoys using flat packed boxes from the scrap store. They had to put the boxes together and think about how they would decorate/customise it. There was no right or wrong and there were lots of different ways to achieve the same thing. 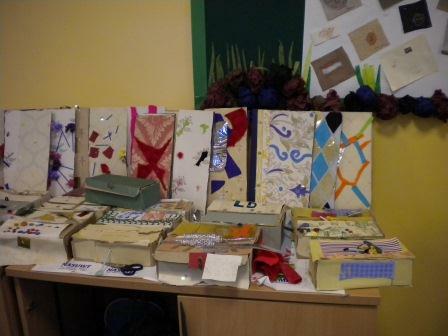 We covered and lined them, and some of the groups created their own monogram to personalise their boxes further. Keyholes also developed as the project went on. Creating their own Teapoy or special chest to keep precious things in gave the children a chance to really express themselves, as well as something special to keep, which will continue to remind them of their visit to the Hall and all that they had learned there. We also looked at wallpaper, linked to wallpaper in the Hall, and had a go at making or enhancing wallpaper designs ourselves. 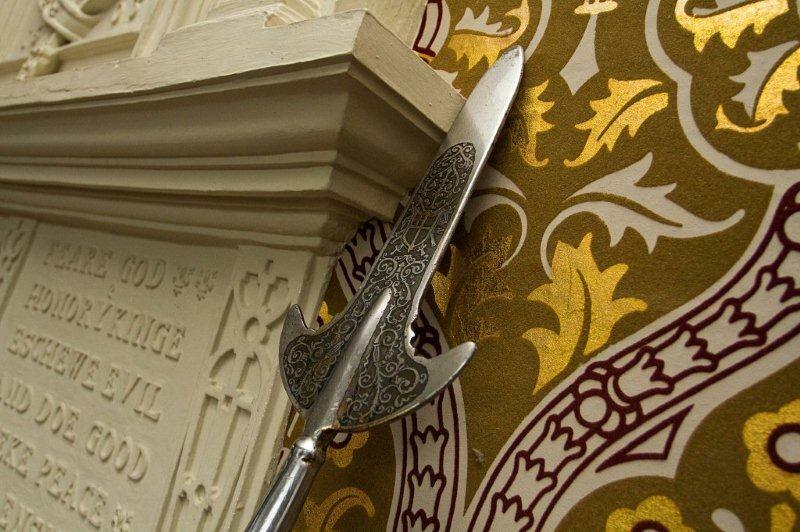 The children added materials to wallpaper squares to enhance the texture and also added lots of gold shiny papers like the gold leaf to make it bespoke, to make it special. This didn’t always get finished so I left this with the schools, and they seemed very keen to continue and finish after the session. I used materials from the scrap store and told the pupils about the store, which was also a learning experience as most of them hadn’t heard of it, and was a good connection to recycling and re-use. The practical experience at the Hall was a really good way of engaging the children and helping them to learn. Walking there was a good experience, walking up the drive and seeing it all and how big it is. The making process also helped the children to connect. They remembered a lot and then made something with a connection to the Hall and to themselves. Everyone really enjoyed the workshop and seemed very engaged throughout, probably because it was very personal to them. A nice extension for the project, or for future project development, would be to have an exhibition of children’s work in response to the collections, spending longer on the making and take it a step further. As part of Portraits of the Past MPA is running a Family History Engagement Day on 4 April. The event is FREE but places are limited and booking essential. Find out more on our website. 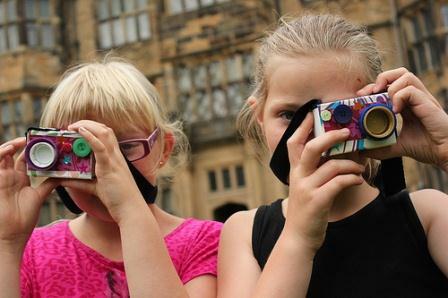 Starting in the summer this project, funded by the Heritage Lottery Fund, has been exploring Gawthorpe Hall through oral history, photography and the creative arts, in a project we’re calling Portraits of the Past. Gawthorpe Hall is much loved by the Padiham and Burnley community who surround it. The historic property also currently hosts Catherine Bertola’s contribution to our Contemporary Heritage series, entitled Flicker. We asked for people to share their photographs of Gawthorpe to develop an online archive, and to let us record their memories of time spent there to create oral histories that will be stored at the North West Sound Archive. The project is ongoing with schools’ work starting later in the autumn but we had some fabulous days in August and September that we’d like to tell you about. 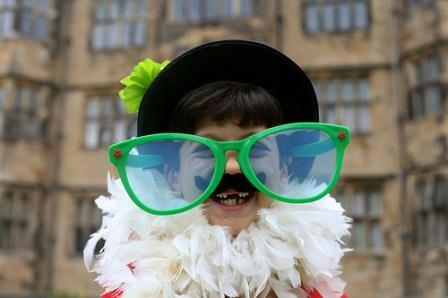 In August we had two days of family friendly activities on the lawn outside the Gawthorpe Hall entrance. 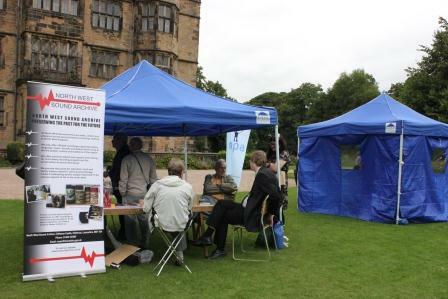 On both occasions we were joined by David and Andrew from the sound archive who eagerly recorded visitors to the event. We were also pleased to have members of Padiham & District Photographic Society with us, who introduced visitors to their work as well as some fantastic antique cameras kindly loaned by the Museum of Science and Industry in Manchester. To encourage the budding photographers of tomorrow (and their parents), on the 21st artist Cath Ford ran a workshop making miniature cameras out of scrap materials which went down a storm. All afternoon you could see children wandering around the grounds proudly wearing or pretending to take pictures with their matchbox creations. There were also photo scavenger hunts for those with a working camera or camera phone! On the 28th artist Caroline Eccles held a mask making workshop as well as providing a huge dressing up box which young and not so young couldn’t resist, the fake moustaches were particularly popular! Once the masks and costumes were on everyone had a lot of fun posing for pictures in front of the hall. Joss joined us for the day as a volunteer and took some wonderful pictures of the action. 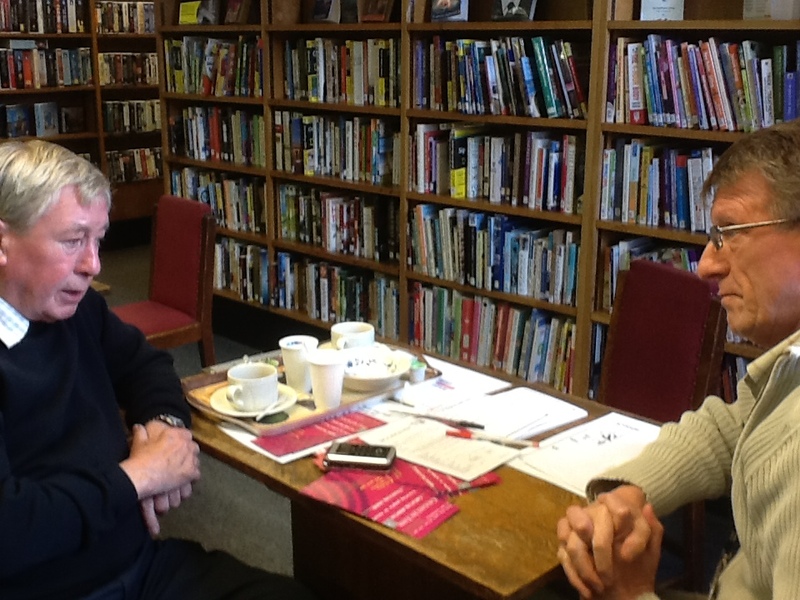 In September we had a wonderful day at Padiham Library and Gawthorpe Hall concentrating on collecting oral histories. Once again David and Andrew from NW Sound Archive joined us and were kept busy recording memories, new and old, of times spent at the Hall. In the morning Alison and Carole at the library organised a coffee morning and were so welcoming to us and all those who visited, we lost count of how many brews they made! 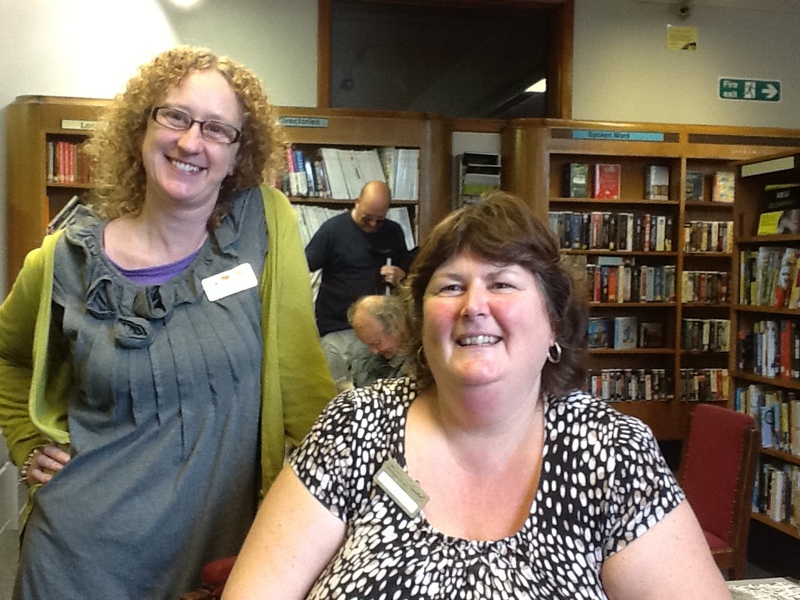 They had been very busy persuading library users to visit on the day and tell us their stories. Most people were rather bashful at the idea; we heard many times that, ‘you won’t be interested in me’. But they were wrong and once Melanie and Dom had enticed them with cakes and a brew they all relaxed enough to make a recording. We were also made very welcome by Ann and Bob at the Padiham Archive which, along with the library, is part of the town hall. They are custodians of a huge number of artefacts ranging from the everyday to items of important historical significance. If you’re interested in the history of Padiham you should pay them a visit, there isn’t anything about the town that they don’t know! 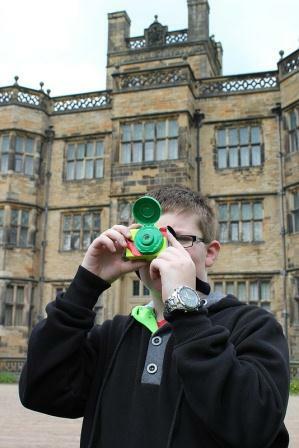 In the afternoon David Smith joined Dom, Andrew and David at Gawthorpe Hall for the Heritage Open Day. It was an extremely busy afternoon at Gawthorpe and Rachel and her team very kindly set us up in the Dining Hall where we were perfectly placed to draw in visitors who had tales to share. Of the stories we’ve recorded so far some cover every day uses of the hall and grounds as a place to walk the dog or picnic with the family, others recall working there when it was a family home and others of childhood encounters with Lady Shuttleworth. They are all fascinating and equally worthy of a place in the Portraits of the Past oral history collection. Thank you to everyone who has participated so far. You can add your own photographs to the online archive here or get in touch with us if you need help doing that. If you have any memories of Gawthorpe Hall you want preserved get in touch with us and we’ll send the boys from NW Sound Archive round! There’s a lot more to come as artists work with schools this autumn term, so look out for further blogs. In the meanwhile huge thanks to the North West Sound Archive, Gawthorpe Hall, Padiham Library, Padiham & District Photographic Society, Padiham Archives, MOSI and of course our funders, the Heritage Lottery Fund. Mid Pennine Arts is recruiting. We need additional support to help us maintain and extend our busy portfolio of creative learning and community engagement projects. We are therefore seeking one or more experienced, versatile project managers, initially on short term agreements, but with the opportunity to develop longer term relationships. If you have a strong track record of developing and delivering high quality, project-based work, and would like to contribute to the work of our team, we would love to hear from you. MPA is the commissioning agency based in Pennine Lancashire and developing projects across Lancashire and beyond. We commission high quality creative work through a variety of collaborations and in response to the distinctive contexts of our natural, built and social environments. Our projects interrogate and celebrate what is unique about our area, our heritage and our communities. We aim to originate exciting creative work that has lasting impact for participants, audiences and our project partners. MPA brings art, people and places together to transform perceptions and change lives. MPA was established in 1966 and has a long and proud track record of working in our communities. Our work is centred on contemporary visual arts but uses a broad creative palette. MPA has developed specialisms in commissioning work in landscape and public spaces and in heritage settings. Our portfolio of recent work has included the Panopticons contemporary landmarks and the Contemporary Heritage series of major new commissions in heritage locations. All of our projects include dimensions of engagement and learning for young people and adults. Over many years we have built up a reputation for high quality work especially with schools and young people. MPA works with some 60 schools each year. In 2013 our creative learning team have made advisory visits to 90 schools, working in partnership with the ACE Bridge Organisation, Curious Minds, as cultural advocates for Lancashire. 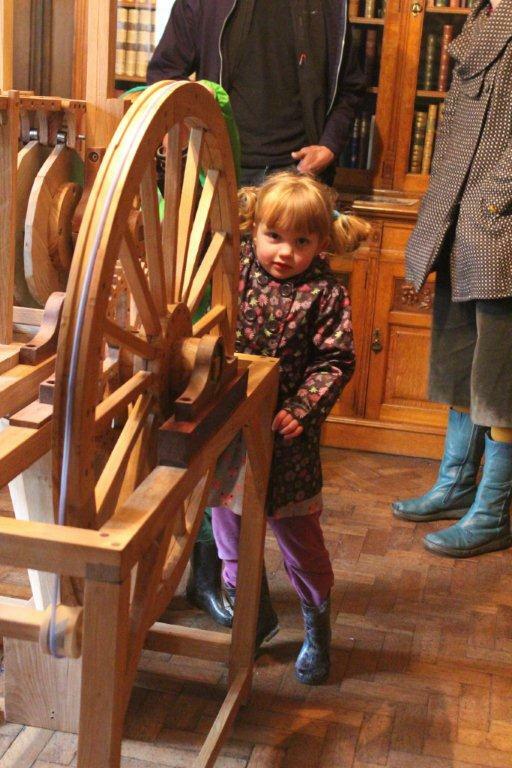 Key partners for MPA projects have recently included local authorities, Lancashire Museums, environmental agencies and our fellow arts organisations. We believe strongly in collaboration and all of our work is developed through a variety of partnerships. MPA attracts funding from a variety of sources, including Arts Council England, Lancashire County Council and lottery distributors. With less revenue funding now available, we generate funds project by project, from multiple sources, to help sustain our organisation. All our team contribute to this effort, which is vital to our future. MPA maintains a multidisciplinary team to originate, curate and project manage our busy programme. In autumn 2013 a number of circumstances will be reducing this team, but MPA’s programme will be busier than ever. So we are seeking additional support. We have a number of projects already in progress and further exciting projects in development. So we want to reinforce our team as soon as we can. We are therefore seeking experienced, versatile individuals who might be available at relatively short notice to contribute to our team over the next few months. 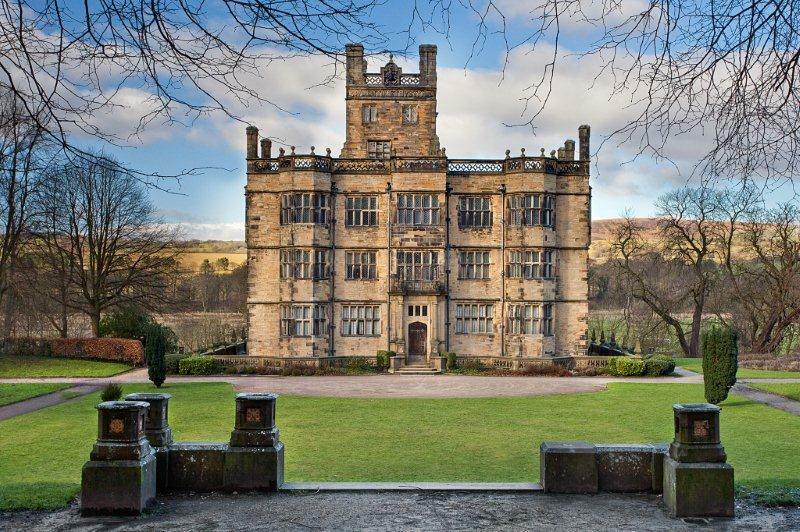 Portraits of the Past – an extended engagement programme built around our Contemporary Heritage commission at Gawthorpe Hall and celebrating the place of this Jacobean gem in the life of the local community. Youth Music – Two new projects resourced by this lottery fund and engaging groups of young people and early years children. Creative Communities – A programme of structured volunteering for young adults, funded by Awards for All, providing opportunities to work with us on a variety of exciting projects. Burnley Rivers – Partnership work with the Urban Rivers Enhancement Scheme to celebrate the Brun and the Calder. Contemporary Heritage – Major new commissions for 2014 and beyond, and engagement programmes to support them. 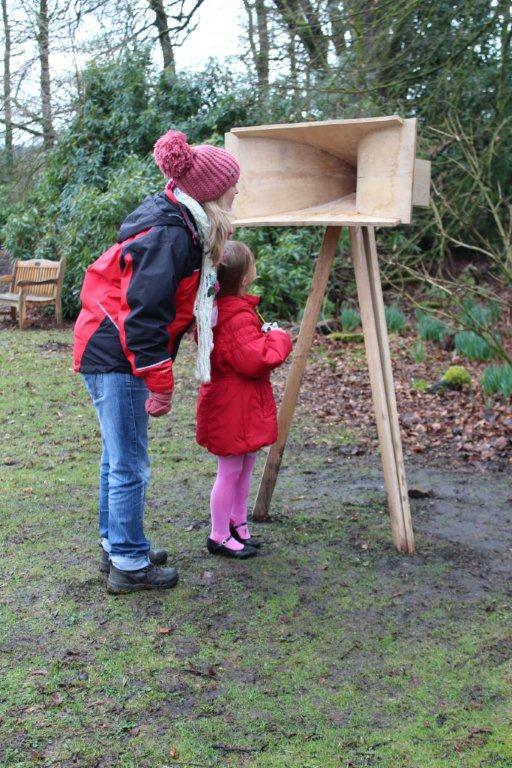 Spodden Valley Revealed – Creatively interpreting the ancient and modern heritage of the area around Whitworth. The Three Towers – A strategic partnership programme to celebrate the heritage and realise the destination potential of the West Pennine Moors. Super Wet Way – Participation in a major new partnership programme themed around the Leeds & Liverpool Canal, with Canal & River Trust, our fellow arts organisations and others. Truce – An engagement programme for Accrington throughout 2014, marking the centenary of the outbreak of the First World War. We will also be continuing to originate projects and develop partnerships. We would like to identify probably two individuals to join our team on a part-time, short term, contract basis. Initially we are able to offer a term of around three months, but we are looking to identify contributors with whom we can establish a relationship for the longer term. In the future, we anticipate maintaining a more flexible workforce that can adapt swiftly to changing circumstance, so we are keen to build a group of regular associates. Terms are flexible according to experience, but as a guide we envisage basing the remuneration on a full time salary of £20,000 to £23,000 (pro rata) for a commitment of around 2.5 to 3 days per week over three months. This is open to negotiation for the self-employed and for exceptional candidates. Proven capacity to help generate further income may be an influential factor. Substantial experience of managing complex or extended projects. Experience of working with a wide variety of people. Accustomed to building partnerships and working collaboratively. Excellent written communication skills, and ability to produce convincing funding proposals and project reports. Highly organised, capable of multi-tasking and prioritising a busy workload. A self-starter able to identify opportunities and realise them. A team player who will enjoy working collaboratively within the MPA team. An understanding of our geographical area (social-economic context) or of comparable communities. Creative learning work, with an understanding of the National Curriculum and experience of key programmes like Arts Awards and Artsmark. Contemporary visual arts, with experience of curating work outside of the gallery setting. Experience of work in landscape, the natural environment and rural contexts. Community engagement, with a range of resources for effectively involving groups and individuals in creative projects. A focus on heritage and the rich fund of creative possibilities that it offers. Issues around sense of place, destination and local identity. Please submit your application by Friday 30 August. There is no formal timetable for recruitment, but we aim to act without delay. We will acknowledge all applicants. If you are shortlisted, we will invite you for interview as soon as can be arranged. To find out more about us and our projects look at our website, Facebook page and Vimeo channel. If you have any questions about our work or this opportunity, please contact Melanie Diggle, MPA Finance & Admin Director, as above, or on 01282 421986. As a volunteer at MPA I was excited when I was asked to help with a photo shoot for the upcoming Contemporary Heritage installation at Gawthorpe Hall, Flicker by Catherine Bertola. I have visited the hall on a couple of occasions and I felt privileged to be able to see behind the scenes and learn about the history of Gawthorpe from some very knowledgable people. For the first two days of the shoot I tried to be as helpful as possible, getting people into costume and making sure everybody was comfortable. Two sets of re-enactment groups took part in the project and it was engrossing to see them transform from 21st century people into characters from the 1600’s. Even more amazing was the way that their transformation created a dramatic change in the space, passing a 17th century physician on the staircase really made you feel like you had gone back in time! On the third day of the shoot it was my turn. Early on in the process of selecting the cast for the shoot there was a call for a petite female with dark hair, as I fitted the bill I put myself forward to help. 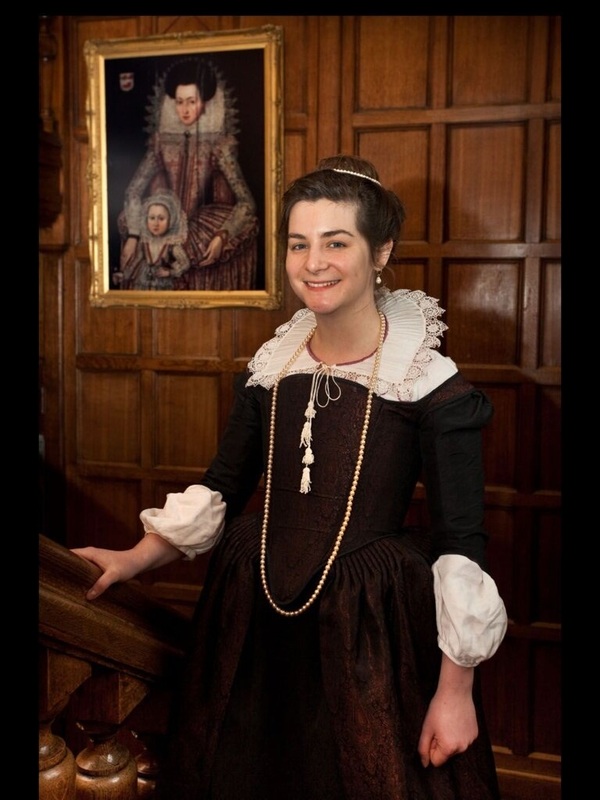 Little did I know that I would get the chance to dress as a 17th century lady of the manor and wear an incredible dress! I began my day by being strapped into a very small corset and a floor length dress. I began to realise why ladies had such a need for servants as bending, sitting down and even walking suddenly became very difficult without some help. Then it was time for the photographs and I really enjoyed chatting to my fellow cast members while trying to ‘look natural’. The day was a lot of fun even if it was a little chilly and I can’t wait to see the images that come out of it. Flicker will open on Saturday 23 March and run until October, see Mid Pennine Arts website for details. Contemporary Heritage: A new way of seeing is an ambitious programme of site-responsive artist commissions at stunning historic sites across Pennine Lancashire. The commissions, inspired by Pennine Lancashire’s heritage, animate each site and offer visitors a rare chance to experience major works of art by artists of national and international standing outside urban centres. 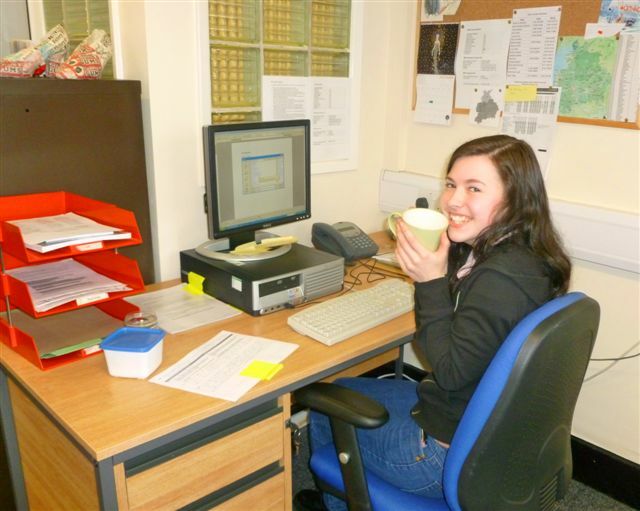 Emma Booth, 15, reflects on her week of work experience with MPA. I must say, my time spent here at Mid Pennine Arts has been a huge eye-opener to the massive range of art and artists out there. Being a teen on work experience, I knew there was more to art than pencil, paint and paper, but I have never really considered art beyond my own passions. By delving deep into the heart of what MPA is about, I discovered knowledge about their past projects and the impact they have had on people who visit them. For example, the Contemporary Heritage projects have taught me that there is more to art than what it looks like. Of course, the aesthetics of a physical piece are important, but projects such as Not Forgotten have shown me that the story behind a piece of artwork is of an even greater importance, and when one reads deeper into that story, the beauty that was originally there shines brighter and illuminates the site. As well as the many stand-alone projects that have been created, I have also learned about the heaps of work that MPA does with children and young people. 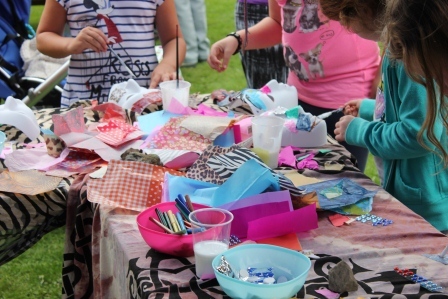 Researching Creative Learning projects such as Padiham Greenway and Historical Tea Parties has made me smile widely, especially after reading about the work MPA has done with children with learning or behavioural difficulties. Right now, thinking about the massive impact MPA’s work must have had on these children, attempting to put it into words is proving a difficult task. Being at MPA has not only given me an insight into the many forms and meanings of art in the world, but has also given me a taste of what the world of work is like. I remember sitting outside the office back at my primary school, waiting for my mum to finish in the teachers’ meetings that were held, itching to burst inside and share my thoughts and ideas. Well, MPA has given me that opportunity, and with each meeting I was a part of, I couldn’t help but marvel at the wonderful future projects being discussed that held so much potential. Of course, the world of work is not all fun and games, but even sorting through artists’ applications and data has taught me about the vast variety of art forms. I have thoroughly enjoyed spending time at MPA, and I am absolutely certain that my experience will come in handy at some point in the future. I would like to say a big, big thank you to all the colleagues at MPA, whose friendly natures made me feel comfortable and welcome in the new atmosphere. And for all the coffee!